More fallout from the Penguins’ first-round elimination and the latest Nazem Kadri speculation in today’s NHL rumor mill. THE ATHLETIC: Rob Rossi wonders if Phil Kessel’s played his final game for the Pittsburgh Penguins. 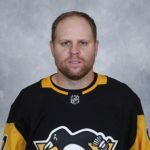 He cites multiple sources claiming the Penguins explored trading the right winger last summer, indicating Kessel was “agreeable” to playing for the Arizona Coyotes. 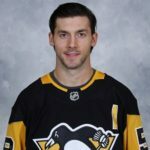 He has a good relationship with Coyotes coach Rick Tocchet, who was an assistant coach with the Penguins during their championships in 2016 and 2017. Rossi also cited a Penguins source claiming Sidney Crosby and Evgeni Malkin are the club’s only untouchables and it’s very unlikely they’ll part ways with winger Jake Guentzel and goaltender Matt Murray. PITTSBURGH POST-GAZETTE: Joe Starkey believes significant changes could be coming for the Penguins this summer. He believes they must find a way to move plodding defenseman Jack Johnson, who’s got four years remaining on his contract. Starkey also suggests they consider moving veterans like Kessel, defenseman Kris Letang and forward Patric Hornqvist. He points out the Penguins won a Cup without Letang when he was sidelined for the entire 2017 playoffs. Jason Mackey considers Kessel, defenseman Olli Maatta, center Matt Cullen, and left wing Garrett Wilson as the most likely to be on the move this summer. Hornqvist, Nick Bjugstad, and Erik Gudbranson fall into the “potentially on the move” category. Letang’s playoff performance raises questions but his injury history makes a trade difficult. He doubts the Penguins can find a taker for Johnson. TRIBLIVE.COM: Kevin Gorman considers Letang part of the Penguins untouchables with Crosby and Malkin and doesn’t believe the veteran blueliner should be made the scapegoat for the club’s early playoff exit. He suggests Justin Schultz could be a prime trade candidate because he has only a year remaining on his contract, though he acknowledged Maatta, Johnson or Gudbranson could be shopped in a cost-cutting deal. While Kessel’s production makes him a valuable trade commodity, Gorman also believes his offense helps the Penguins. He doesn’t think Kessel should be dealt just for the sake of doing so. SPECTOR’S NOTE: With over $79 million invested in 18 players for 2019-20, the Penguins have little choice but to shed salary this summer if they intend on getting younger and faster for next season. 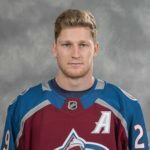 If Kessel is willing to accept a trade to the Coyotes, who have depth in promising and affordable young talent, they should seriously consider it. They’ll miss his offense in the short term but it’ll be worth it if he fetches a return that helps the Penguins now and in the future. Letang’s injury history, age (31) and his annual average value ($7.25 million through 2021-22) could be a tough sell. Those factors also apply to Hornqvist, who’s carrying a $5.3 million annual cap hit through 2022-23. Johnson carries an affordable cap hit ($3.25 million) but I doubt the Penguins can find any takers for him at this stage in his career. If it appears Schultz could be too expensive to re-sign, perhaps he’ll be shopped this summer. He has a 10-team no-trade list. Maatta appears a more likely trade candidate as it seems head coach Mike Sullivan lacks confidence in him. Cullen is 42 and will likely retire. Having acquired Bjugstad in February, I don’t think GM Jim Rutherford intends to move him. Gudbranson’s physical play could ensure he gets another season in Pittsburgh. THE ATHLETIC: Pierre LeBrun recently reported questions about Nazem Kadri’s future with the Toronto Maple Leafs were being asked before his series-long suspension for cross-checking Bruins winger Jake DeBrusk. With the Leafs facing a salary-cap crunch this summer and with Mitch Marner to receive a significant raise, LeBrun said the possibility of moving Kadri as a cost-cutting measure was a possibility before his recent act of recklessness. 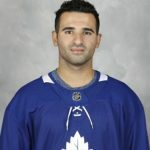 Kadri’s second playoff suspension in as many years could force Leafs management to ask themselves if they can trust having him in the lineup beyond this season. He has three years remaining on his contract with an affordable $4.5-million cap hit and a 10-team no-trade list. LeBrun believes there would be a market for a two-way center like Kadri with a cap-friendly contract. While his suspension history might scare off some GMs, others could consider the edge he brings to his game to be a valuable component. THE HOCKEY NEWS: If the Leafs can win their current series with the Bruins without Kadri in the lineup, Matt Larkin suggests they consider trading him this summer for a defenseman. He notes the Leafs still need a “right-shot, two-way, top-four presence”, suggesting they’d have to send salary out to bring in a “Brett Pesce-type” blueliner. SPECTOR’S NOTE: The Leafs have over $75 million invested in 19 players for 2019-20. Forwards Marner, Kasperi Kapanen, and Andreas Johnsson are restricted free agents while defensemen Jake Gardiner and Ron Hainsey are unrestricted free agents. Assuming the salary cap reaches $83 million as projected and all-but-retired winger Nathan Horton ($5.3 million) is placed on long-term injury reserve at the start of next season, the Leafs will only have around $13 million to re-sign those forwards and re-sign or replace those blueliners. The cost of re-signing Marner alone could exceed $10 million. The Leafs have no choice but to shed salary. Kadri’s latest antics could grease the skids for his departure this summer, especially if the Leafs play well without him. Avalanche push Flames to the brink of elimination, Bruins and Stars tie their respective series, Selke Trophy finalists revealed, and more in today’s NHL morning coffee headlines. NHL.COM: The Colorado Avalanche pushed the Calgary Flames to the brink of elimination with a 3-2 overtime victory in Game 4 of their opening-round series. 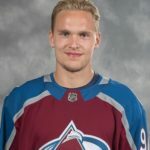 Mikko Rantanen scored the tying and winning goals for the Avalanche, who hold a commanding 3-1 series lead. Game 5 goes Friday in Calgary. SPECTOR’S NOTE: The Flames took a 2-0 lead into their third but sloppy defensive play killed them. You can’t pin this loss on goaltender Mike Smith, who faced over 50 shots (52) for the second straight game. Smith faced the onslaught well but his teammates let him down. The Flames leading scorers – Johnny Gaudreau (one point), Sean Monahan (two points) and Matthew Tkachuk (three points) – have been disappointing thus far. If they don’t start finding the back of the net soon, the Flames will be golfing after Friday. David Pastrnak scored twice and Brad Marchand had a three-point night as the Boston Bruins held off the Toronto Maple Leafs 6-4 to square their opening-round series at two games apiece. Auston Matthews scored twice for the Leafs, who made it interesting in the third period with two goals to narrow the score to 5-4 before Joakim Nordstrom’s empty netter in the dying seconds. SPECTOR’S NOTE: Bruins coach Bruce Cassidy shook up his forward lines a bit in this one, shifting Pastrnak down to the second line for a while with David Krejci and moving Danton Heinen to the top line. The Bruins also put on a master class of how to play smart defensive hockey when an opponent pulls their goalie for an extra attacker late in the game. They didn’t panic by icing the puck or make “Hail Mary” attempts to score an empty netter, but smartly chipped the puck along the boards and into the neutral zone or skated it past center whenever they could and dumped it into the Leafs zone. A four-goal first period powered the Dallas Stars to a 5-1 victory over the Nashville Predators to tie their series at two games apiece. Stars goalie Ben Bishop kicked out 34 shots, Roope Hintz tallied his first two playoff goals of his career and John Klingberg collected three assists. SPECTOR’S NOTE: This was a strong bounce-back effort by Bishop, who struggled a bit in Game 3 by giving up a couple of soft goals. He was outstanding in this contest. Credit also the Stars’ offensive pressure as they chased Predators starter Pekka Rinne after he gave up four goals on eight shots. Bruins center Patrice Bergeron, St. Louis Blues center Ryan O’Reilly, and Vegas Golden Knights right wing Mark Stone are the finalists for the Frank J. Selke Trophy, which honors the NHL’s top defensive forward. SPECTOR’S NOTE: Can’t say I disagree with those choices. I’m happy to see Stone finally getting recognition for his two-way play. O’Reilly is also among the 31 nominees for the King Clancy Memorial Trophy, awarded to the player “who best exemplifies leadership qualities on and off the ice and has made a noteworthy humanitarian contribution in his community.” Other nominees include Buffalo Sabres center Jack Eichel, Edmonton Oilers winger Leon Draisaitl, Montreal Canadiens center Max Domi and New York Rangers goaltender Henrik Lundqvist. SPORTSNET: The Florida Panthers declined captain Aleksander Barkov’s invitation to play for Finland at the upcoming IIHF World Championships citing a need for Barkov to recover from the effects of a long NHL season. SPECTOR’S NOTE: Odd to see a team decline a player’s invitation to participate in the Worlds. Barkov played for Finland in previous tournaments. It’s understandable if he needs to recuperate from injuries that he played through this season but usually it’s the player who declines the invite. The San Jose Sharks are sticking with struggling starting goalie Martin Jones in Game 5 tonight against the Vegas Golden Knights. SPECTOR’S NOTE: In other words, Sharks coach Pete DeBoer has no confidence in backup Aaron Dell. NEW YORK POST: Islanders general manager Lou Lamoriello isn’t troubled by the league’s decision that his club will play the remainder of their playoff games at Barclays Center. He dismissed the notion that the change of venue from Nassau Coliseum will adversely affect his club’s performance. The Islanders are awaiting the winner of the Capitals-Hurricanes series. ARIZONA SPORTS: Coyotes forward Brad Richardson is the inaugural winner of the Shane Doan Good Guy Award, voted on and present by the Arizona chapter of the Professional Hockey Writers Association. STARTRIBUNE.COM: The Minnesota Wild hired Chris O’Hearn as their new director of hockey operations. Lightning and Penguins swept from the opening round, Jets tied their series with the Blues, and Golden Knights take 3-1 series lead over the Sharks. Details and more in today’s NHL morning coffee headlines. NHL.COM: The Columbus Blue Jackets won their first playoff series in franchise history by sweeping the Tampa Bay Lightning with a 7-3 victory in Game 4 of their opening-round series. The Lightning became the first team in league history to win the Presidents’ Trophy and get swept from the first round of the playoffs. 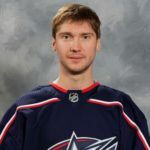 Jackets rookie Alexandre Texier scored twice, Pierre-Luc Dubois had a goal and two assists, and Sergei Bobrovsky made 30 saves. SPECTOR’S NOTE: The Jackets dominated the Lightning at both ends of the rink in this series. They got clutch goaltending from Bobrovsky, played a solid overall defensive game while their forecheck forced the Bolts defenders into costly turnovers. The Lightning were also their own worst enemies, struggling to deal with adversity for the first time this season. Changes could be coming for the Bolts this summer. I’ll have more on that later today in the Rumors section. Robin Lehner kicked out 32 shots and Jordan Eberle scored in his fourth straight playoff game as the New York Islanders defeated the Pittsburgh Penguins 3-1 to sweep the latter from the opening round in four games. SPECTOR’S NOTE: Lehner’s goaltending and the Isles stifling defensive play frustrated the Penguins time and again. When the Pens would score a goal, the Isles would quickly counter and regain the momentum. Pittsburgh captain Sidney Crosby was held to just one point in this series. Like the Lightning, the Penguins could be facing some offseason changes. Check ’em out later today in the Rumors section. The Vegas Golden Knights took a commanding 3-1 lead in their series with the San Jose Sharks by blanking the latter 5-0 in Game 4. Vegas goalie Marc-Andre Fleury had a 28-save shutout while Max Pacioretty scored twice and set up two others. The series returns to San Jose for Game 5 on Thursday. Sharks winger Evander Kane received a game misconduct after cross-checking Golden Knights center Paul Stastny and sucker-punching Colin Miller in the face. SPECTOR’S NOTE: Shaky goaltending, a porous defense and a growing lack of composure have caused the Sharks to unravel following their convincing 5-2 victory in Game 1. Left unaddressed, they’ll be hitting the golf course after Game 5. Kyle Connor’s overtime goal gave the Winnipeg Jets a 2-1 victory over the St. Louis Blues, tying their opening-round series at two games apiece. Connor also assisted Mark Scheifele’s game-tying goal after St. Louis’ Vladimir Tarasenko opened the scoring early in the third period. The series returns to Winnipeg for Game 5 on Thursday. SPECTOR’S NOTE: The Jets have been the better team in this series since Game 2. Goalie Connor Hellebucyk looks like he’s returned to form in the last two games while their defensive play has also improved over that time. TSN: Carolina Hurricanes winger Andrei Svechnikov has been placed in concussion protocol after being knocked out in a fight with Washington Capitals captain Alex Ovechkin in Game 3 of their opening-round series on Monday. Hurricanes coach Rod Brind’Amour said Svechnikov was evaluated at a hospital and looks normal and feels great, but the club won’t be rushing him back into the lineup. Svechnikov isn’t expected to play in Game 4 on Thursday. LOS ANGELES TIMES: The Kings yesterday announced the hiring of Todd McLellan as their new head coach. SPECTOR’S NOTE: No surprise there as the Kings had courted McLellan for some time. He guided the Edmonton Oilers to their first playoff appearance in 11 years in 2017. He also coached the San Jose Sharks to two Western Conference finals and three Pacific Division titles. McLellan is expected to help this rebuilding team improve an offense that was 30th overall this season while also improving their defensive game. STARTRIBUNE.COM: The Minnesota Wild reached a 10-year extension agreement with the city of St. Paul to continue playing at the Xcel Energy Center through 2035. That will include upgrades to the arena and parking areas.